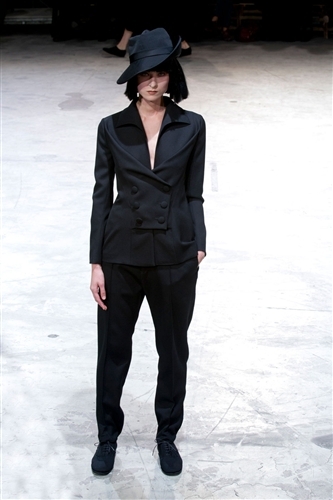 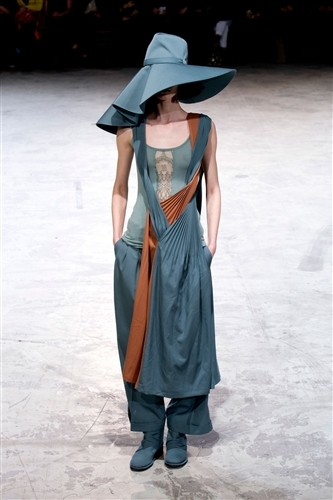 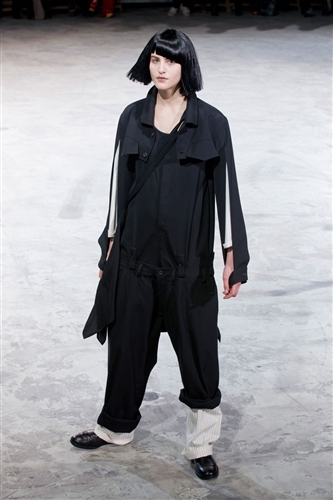 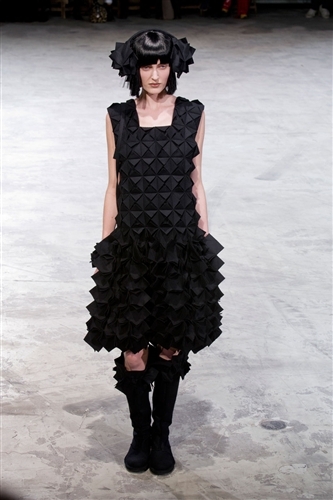 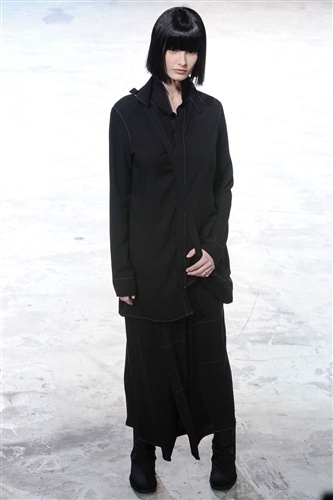 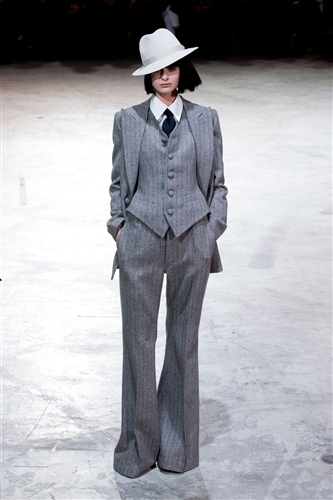 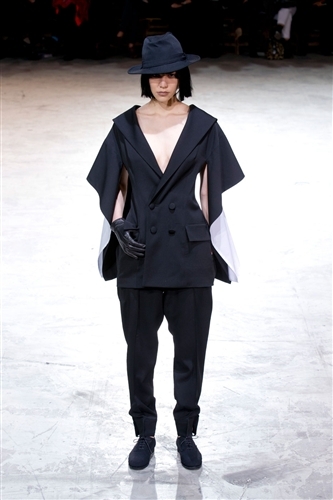 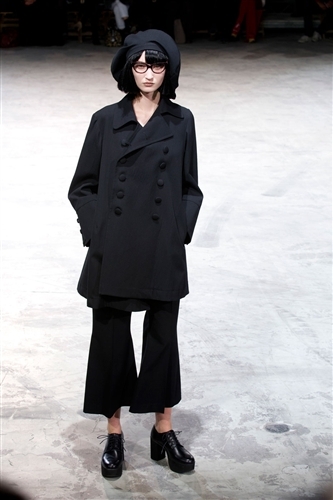 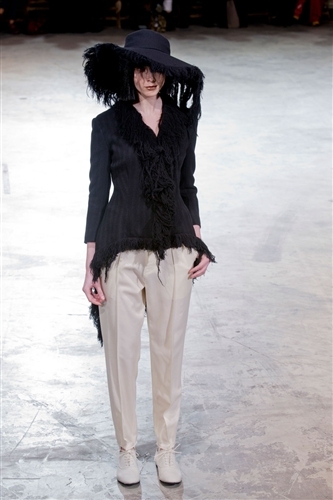 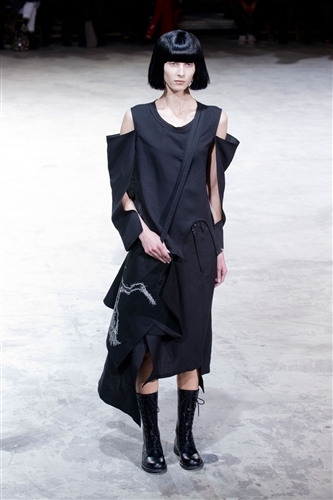 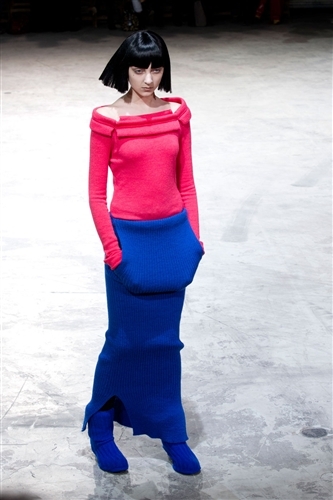 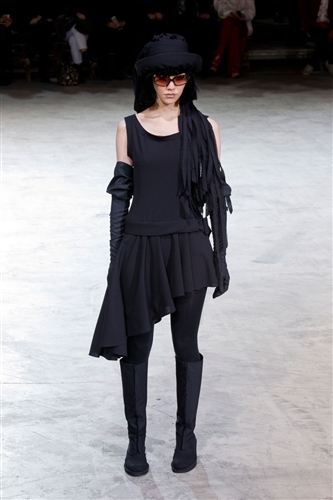 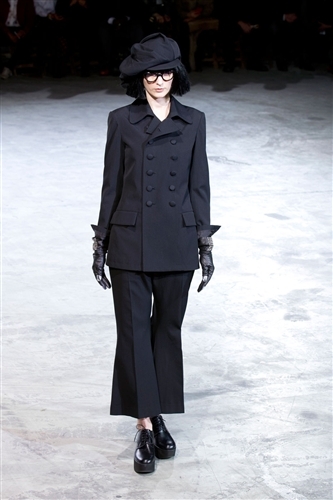 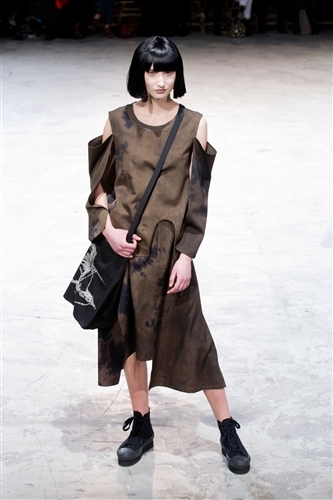 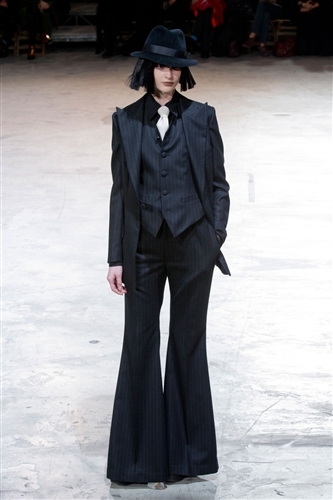 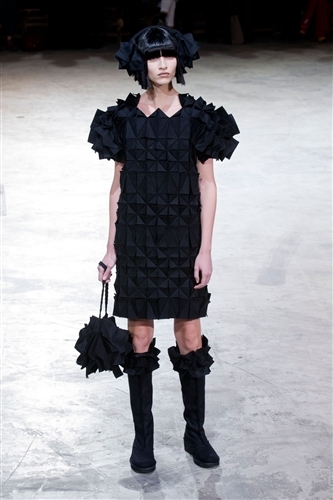 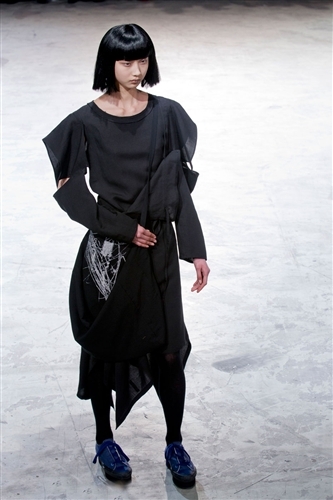 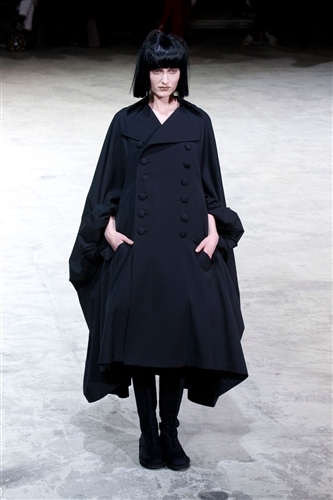 Yohji Yamamoto stuck to what he loves this season, and we are so glad he did. 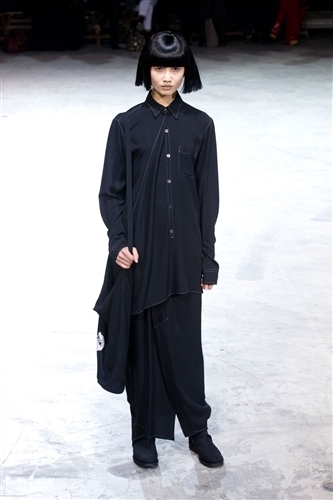 His latest collection felt like a trip down memory lane as he revisited the labels roots and presented his favourite aesthetics all over again. 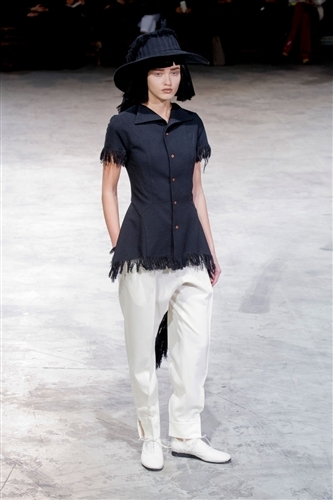 The designer’s unusual signature touches were everywhere this season with woven, pleated fabrics, roping and origami like tailoring. 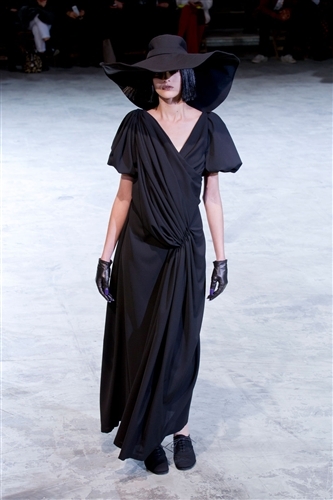 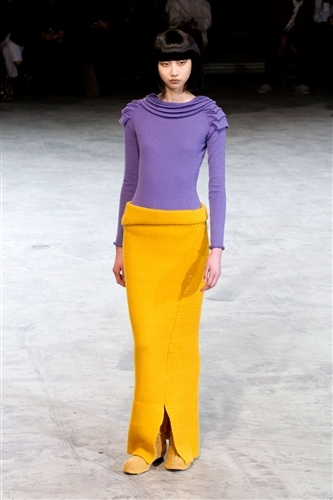 The progression of the colour palette was one of the most remarkable parts of this collection, the first designs emerged in all black which felt almost mournful, as they seemed so bleak and dramatic, the designer then introduced startling purple fur on some of the dresses which began to warm up the collection. 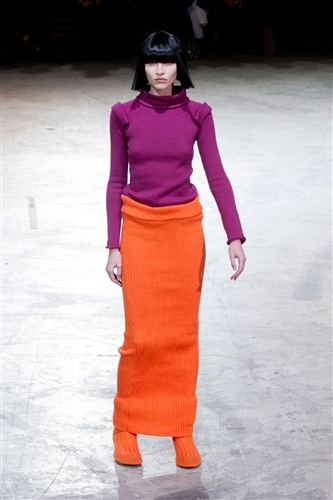 The next step in the colour progression was a sudden burst of pop art brights, a extreme step away from the initial black looks.